Nicole Doud is heading up this new Mackinac Island venture opening May 5, 2017. 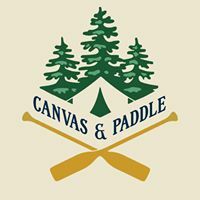 Canvas & Paddle is located next door to Nicole’s first business, Little Luxuries, within Lilac Tree Hotel. The 650-square-foot shop will have a rustic, small-cabin feeling. Nicole plans to carry a mix of apparel and gifts that reflect what you would wear or use Up North—whether that’s Wisconsin, Minnesota or Northern Michigan.